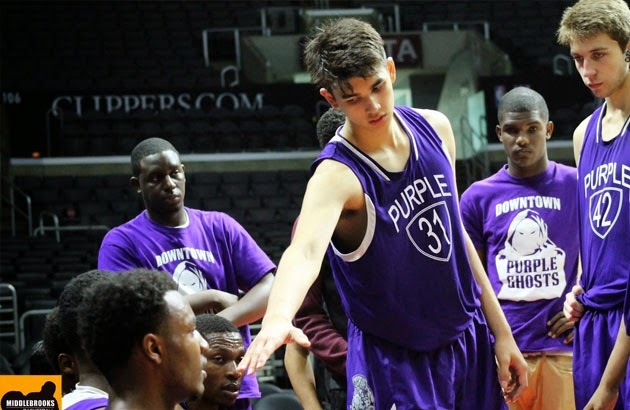 Son of the PBA legend and the Filipino boxing prospect Kobe Paras was back from his ankle injury but delivers with 19 points as the Los Angeles Cathedral won their game vs Gardena Serra, 82-63. Kobe Paras was really dominated and showing no sign of pain from his previous injury. Kobe bounced back and shared 3 highlight dunks. The LA Cathedral improved their record with 16 wins and 3 losses. Kobe and his 5 teammates was recently included in the honor roll of Cathedral High School.